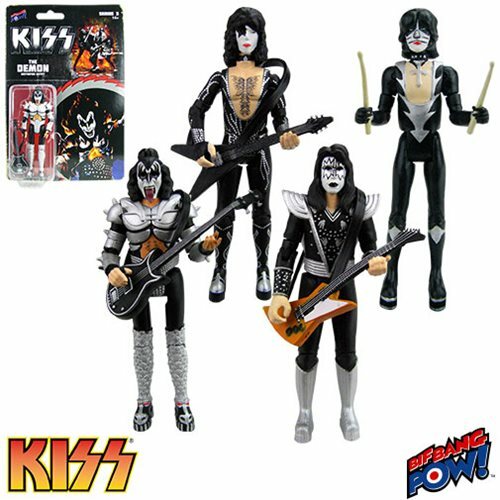 New KISS Series 3 Action Figures! Head to “Detroit Rock City” as the band comes together with these KISS Destroyer 3 3/4-Inch Action Figures! Gene, Peter, Paul, and Ace are all here for the rock ‘n’ roll party, and when it comes to how fantastic they are, you’ll shout it out loud. Don’t miss these amazing articulated action figures with instruments – order yours today! ← Previous Story Star Wars Vintage Figures Are Back! Next Story → New Toys and Collectibles: KISS Figures, Marvel Statues, TRU Exclusives, and More!